Today is the first ever Fashion Favorites Friday Link up! A link up where you share you fashion favorites of the week! It can be anything from your favorite outfit you wore this week to a cute outfit you saw on Pinterest! I wanted to start a link up that is easy and fun but most of all involves fashion! 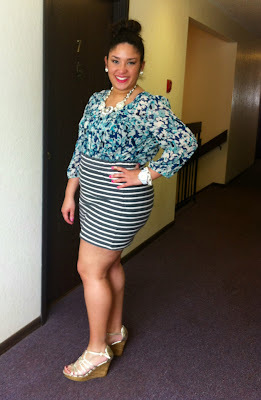 I get so much fashion inspiration from other bloggers! So I see this link-up as a way to be able to inspire one another! 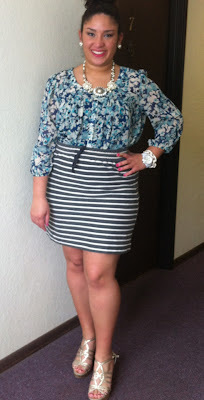 Here is my Fashion Favorites Friday Look! Sorry for the "not so great" pictures I promise with time I will get better at this!! I love mixing prints! Shanna and Emily do such a great job at this! They always inspire me to mix prints!! Here is what I put together! 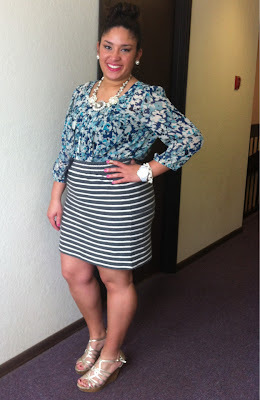 Earlier this week Mckenna blogged a post with multiple outfits from last spring!! I immediately fell in love with this look. I love the Scallop Top with Polka dot skinnies and sequence bag! Lets just say I'm pretty much obsessed! You look so cute!! I love this outfit!!! LOVE this outfit! You're a stunner! 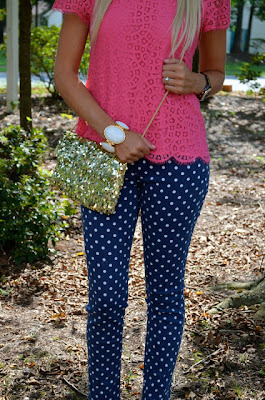 The statement necklace is perfection :) So glad you're doing this blog hop! Girlll you're working that skirt! Love it on you! 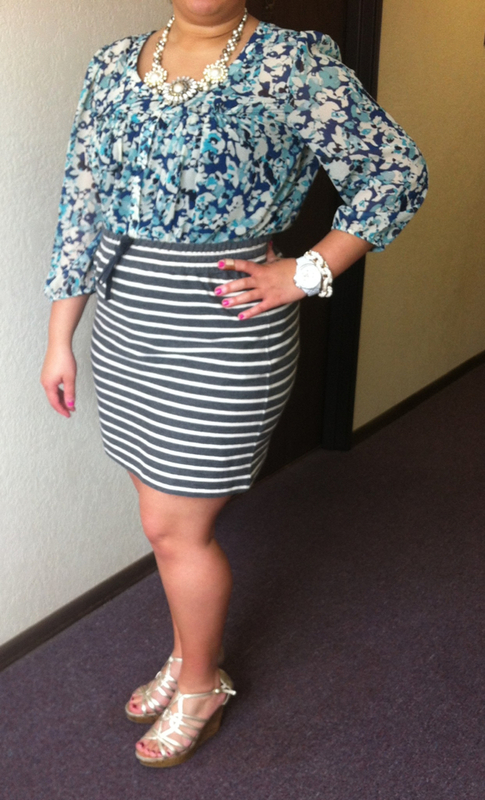 I love stripes and flowers! So beautiful! Ironically, I was thinking of doing a post on it! Great minds truly do think alike! 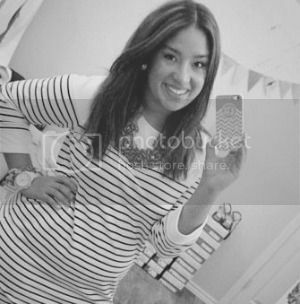 I love your floral and stripes outfit! Sooo springy and stylish!! I love how you mixed patterns!